Djeco Toys are a French company who produce high quality and uniquely French designed toys, puzzles, games for children. 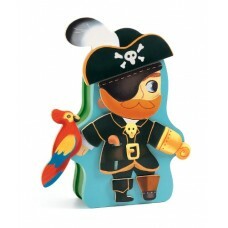 Create your own pirate and wild-west themed adventures, with this magnetic set. Includes a select..